Adam Copeland on Edge is what the author describes as “a mental picture.” It's also a dream—“one of many”—that he decided to realize while at home convalescing from potential career-ending neck surgery. And it's a journey that explores not only his life but also his innermost thoughts. 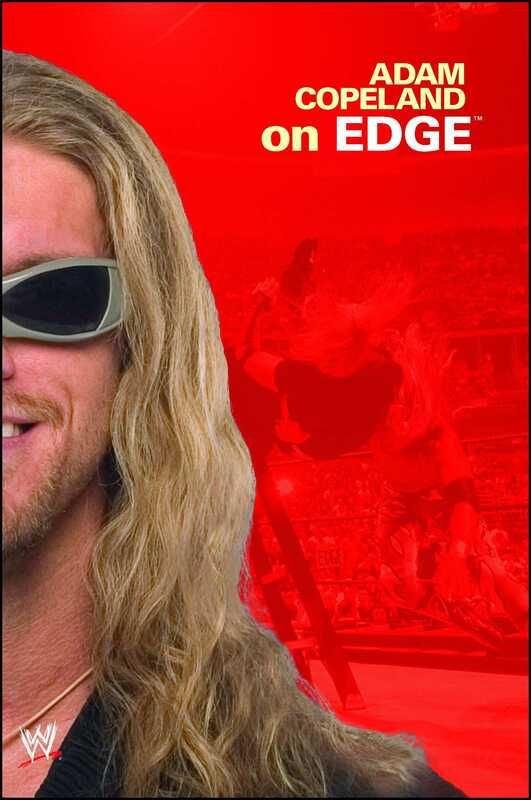 For Copeland, “anything” meant becoming a wrestler, an ambition shared by his friend Jason Reso, who would eventually form the indie tag team Suicide Blondes with Copeland, then join him in WWE as Edge's “brother,” Christian. Winning a newspaper essay contest earned Copeland free wrestling training from independent veterans Sweet Daddy Siki and Ron Hutchinson. The author shares his vivid, often outrageous memories of wrestling throughout Canada and the midwestern United States and befriending future WWE Superstars like Terry Richards (Rhyno), Sean Morley (Val Venis), and Chris Jericho. Hard work and persistence brought Copeland to World Wrestling Entertainment. But his “inauspicious” Raw debut—during which he accidentally knocked out his opponent—supports his claim that “I had no idea” how to make the transformation to Edge. Copeland retraces the steps he took to “Edgeucate” himself, from his goth days with the Brood's Christian and Gangrel to ushering in the “E&C Dynasty,” which in turn revitalized WWE's Tag Team division (with the aid of the Hardy Boyz, the Dudley Boyz, and countless tables, ladders, and chairs). With vivid detail and sincerity, Copeland offers his thoughts about not only fulfilling his goals but also building upon them. He shares his actual surprise over winning the Intercontinental title for the first time; the anxiety he felt while splitting up with Christian; his eventual determination “to grab the damn ball out of someone's hands and take off”; the distress of almost losing his long blond hair to Kurt Angle; his wonder over enjoying a brief Tag Team title reign with the icon who first inspired him; the simultaneous pain of a broken marriage and two ruptured discs in his neck; and the nervous energy of returning to Raw in March 2004 and setting his sights on the WWE World Heavyweight Championship. Adam Copeland is an actor and retired professional wrestler, who wrestled as Edge in the WWE. Edge is one of the most decorated professional wrestlers of all-time, having won thirty-one championships in WWE overall, including the World Heavyweight Championship a record seven times, and the WWE Championship four times.